First established in 1931, The Grill at The Dorchester has a reputation for the finest grill food in London. It offers a classic British menu with a modern twist including traditional Sunday lunch and an open rotisserie. 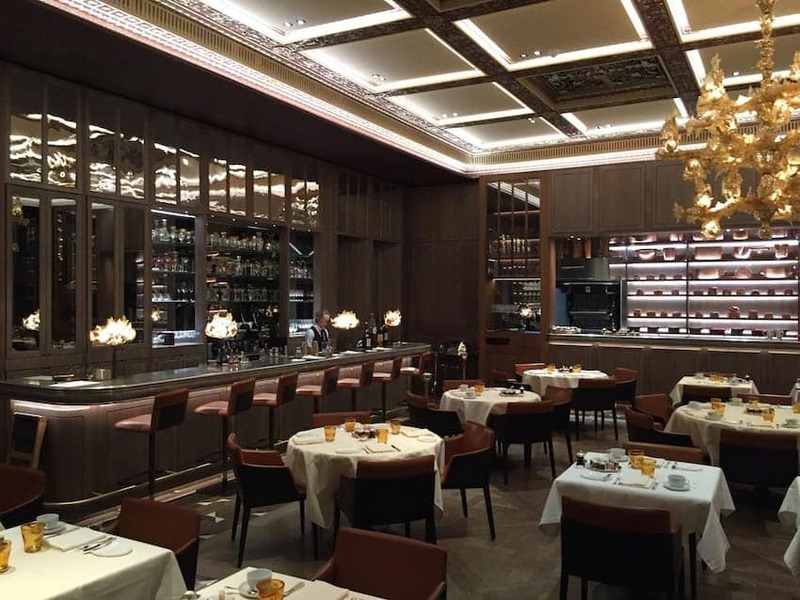 Recently refurbished in contemporary style, the restaurant has been luxuriously decorated with natural materials including zinc, copper and marble, with butterscotch leather seats and oak parquet flooring and an attention grabbing central glass chandelier.